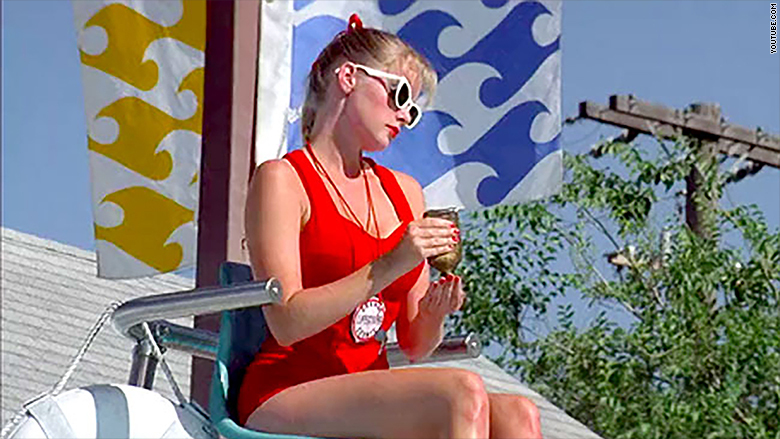 Wendy Peffercorn, the lifeguard in the 1993 summer classic movie "The Sandlot." Lauren Miller loves her summer job. 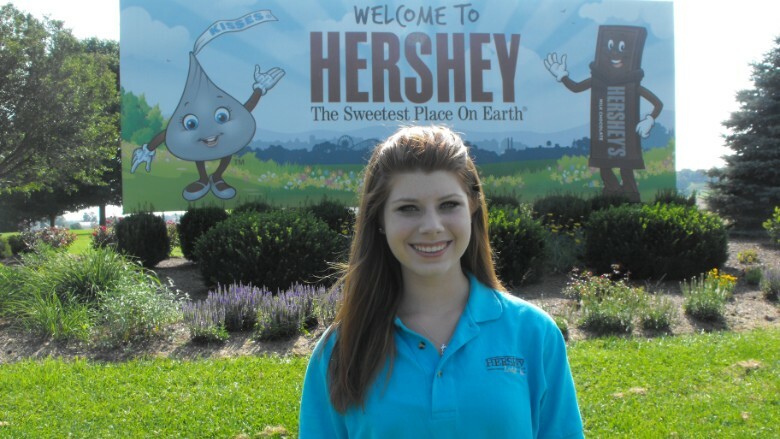 She just started working at the Hershey Lodge in Pennsylvania, roasting s'mores and organizing activities for kids. Miller, 16, earns the minimum wage, but she doesn't mind -- her job is a foot in the right direction. Most of her friends found jobs this summer too, she says. "I think it creates a lot of responsibility in teens," says Miller, who got her driver's license last week. "They have to get up and go to their job. They're earning money for whatever they want to do." Miller's ability to find a summer job is representative of America's improving teenage economy. More teens finding jobs: About 4.7 million teenagers have jobs now, an increase from this time last year. How the teenage job market performs is a bellwether for the rest of American job seekers. If more and more employers are willing to take a chance on an inexperienced teen, that's good news for older workers too, says Diane Swonk, chief economist at Mesirow Financial in Chicago. Lauren Miller, 16, works at the Hershey Lodge in Hershey, PA.
"The trend is moving in the right direction," says Swonk. The teenage economy "is certainly something I'm watching more closely." The teenage unemployment rate in June was 18.1%. That's still high by historical standards, but it's better than a year ago when it was near 21%. The teenage unemployment rate has been falling even faster than the national unemployment rate. 'Glacial' progress: But Swonk also points out that the pace of improvement has been "glacial." Teen unemployment has plagued the American economy during the recession and recovery. With so many highly qualified adults scrambling for work, they sometimes pushed teens out of jobs. The teen economy is even a concern for the Obama administration. In December, the president announced a new apprenticeship program, in part to help teens improve their job skills, says Labor Secretary Tom Perez. "We need to pick up the pace of [job] growth" for teens, Perez told CNNMoney. Wendell Beane, left, is working this summer at Camp Dudley in Westport, N.Y. He works with Jack Degen. Benefits of a summer job: But there's good news for teens: the labor force participation rate -- a measure of how many teens are working or looking for work -- has ticked up over the past year. That's a sign that teens are getting more confident that they can find a job. It's even more impressive considering the overall U.S. participation rate actually hit a 37-year low in June, according to the Labor Department. 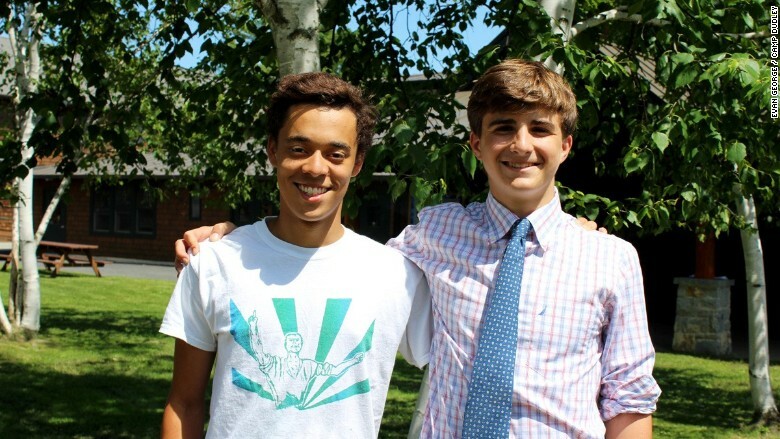 Another teen in the work force now is Wendell Beane, a camp counselor at Camp Dudley on Lake Champlain in Westport, N.Y. Beane just graduated from high school in Alexandria, Va., and will be a freshman at Dartmouth University in the fall. An avid sailor, Beane needs his $2,200 salary this summer to help pay for some college expenses. But above all, Beane says his summer job at Dudley has allowed him to develop three skill sets he'll use more for future jobs: time management, patience and leadership. "I think that shows a lot of skills that I hope employers are looking for," Beane says.